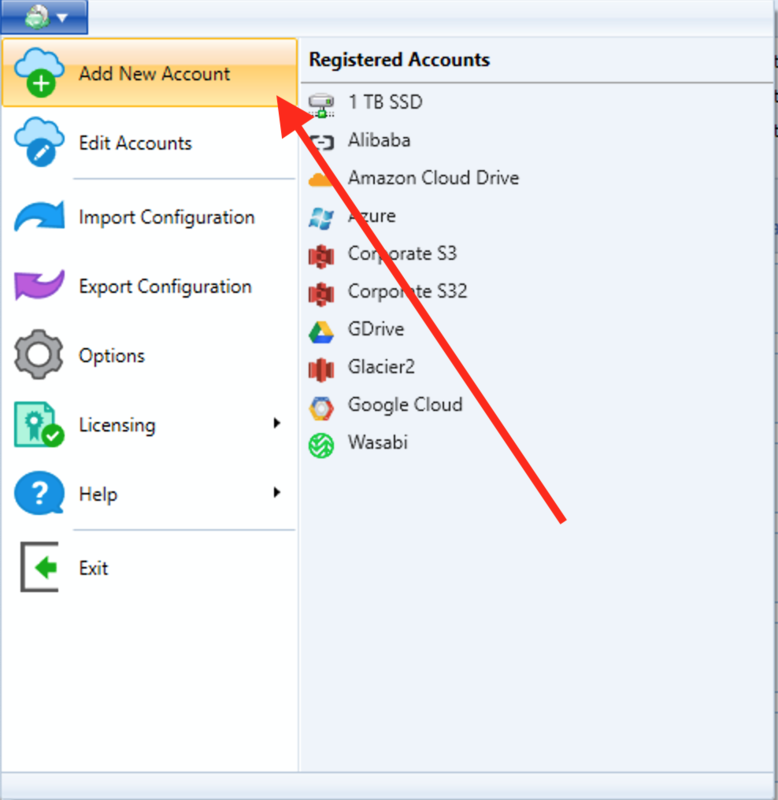 This post explains how to sign up for Microsoft Azure account and register it with CloudBerry Backup, a powerful tool that allows you to automate your backup/restore routines. 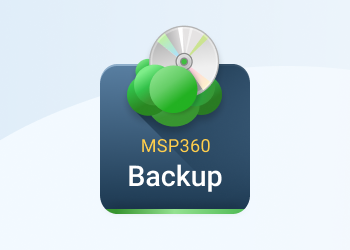 We hope that this product will become your tool of choice and help you effectively manage your backups and restores! 1. 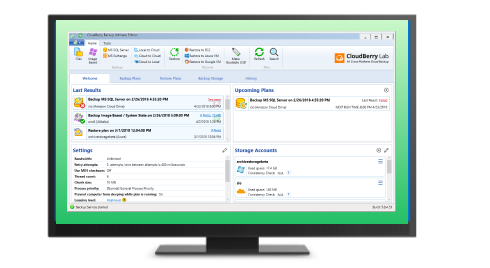 Launch CloudBerry Backup, click on the Menu Icon in the upper-left corner and click Add New Account. 2. 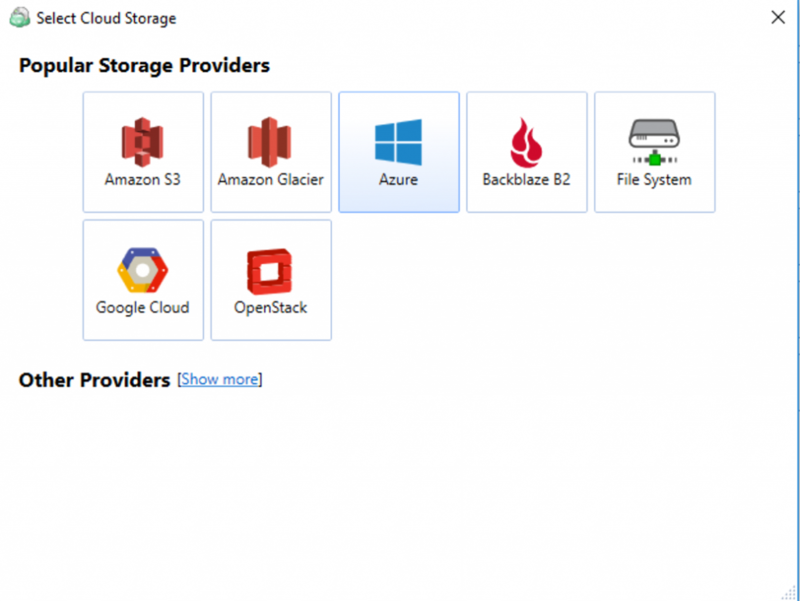 In the "Select Cloud Storage" screen, click on the Azure icon. 3. Enter the account's display name, access key (Account), secret key (Shared Key), select the account type and the required container. 4. 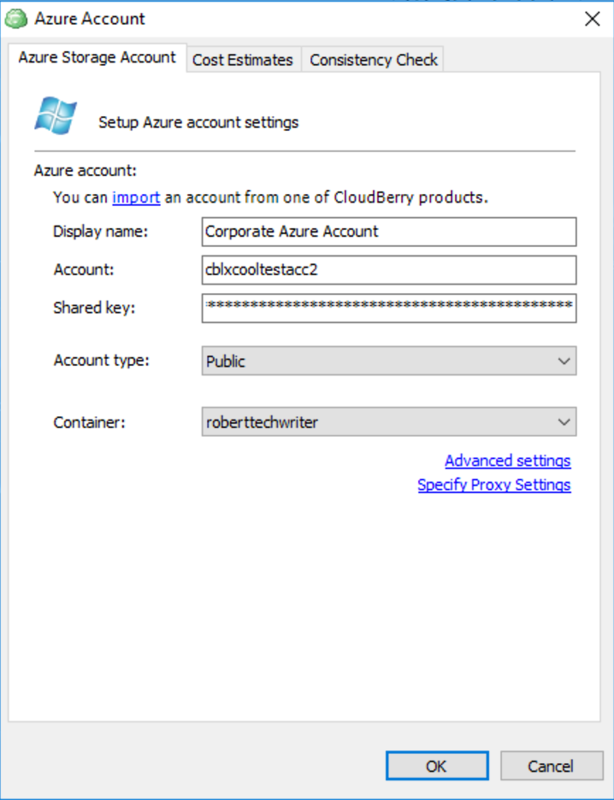 Once you specified all the required information, click OK. You will see your new Microsoft Azure account displayed in the list of accounts. 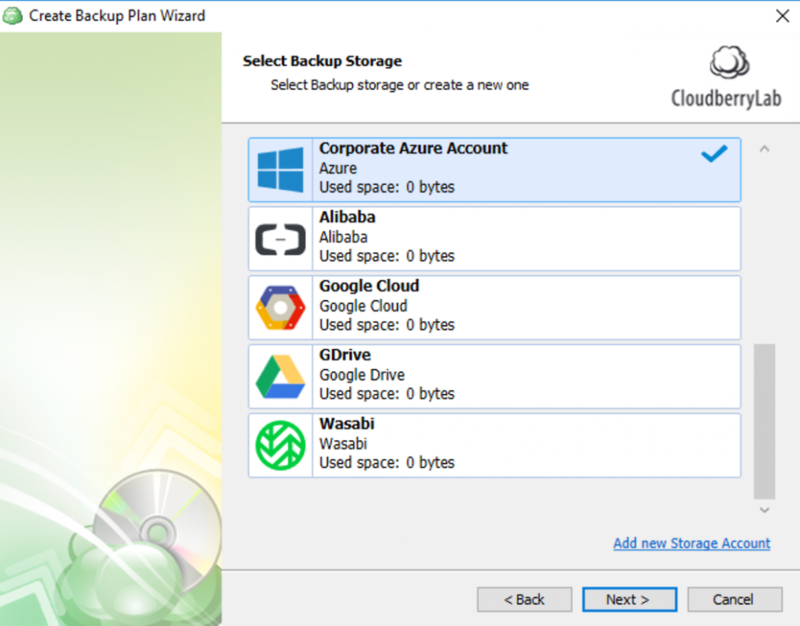 You can select or register a new Microsoft Azure account in Backup Wizard when creating a new backup plan. 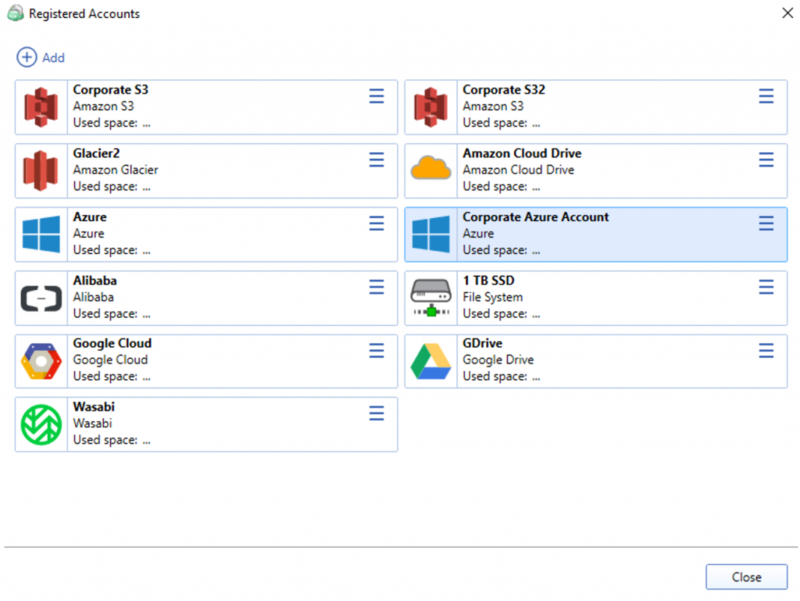 Click the Files button to start Backup Wizard and select account from the Azure drop-down list. After your Microsoft Azure account is specified, click Next and complete the rest of the Backup Wizard steps to create and customize your backup plan! Now you are ready to enjoy your Microsoft Azure with CloudBerry Backup. 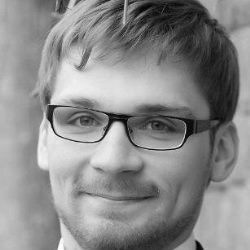 You can create Backup Plans, copy files to Microsoft Azure and schedule the backup routine!